Oakum is sold and shipped in 50/lb. coils in cardboard containers. When fully unwound, a 50/lb. 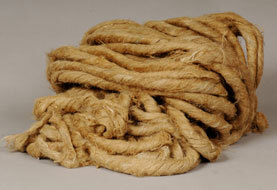 coil will yield approximately 1000 l.f. of ½" diameter rope. The very loose weave allows rapid absorption of PARSON PERMA SEAL in addition to ease of separation for insertion in small crevices.